For all of you that have seen me blog and tweet and twitpic and instagram about Naked Hearts for the last year, you’ll finally have your opportunity to see Naked Hearts up close and meet their creator, designer Raeana. 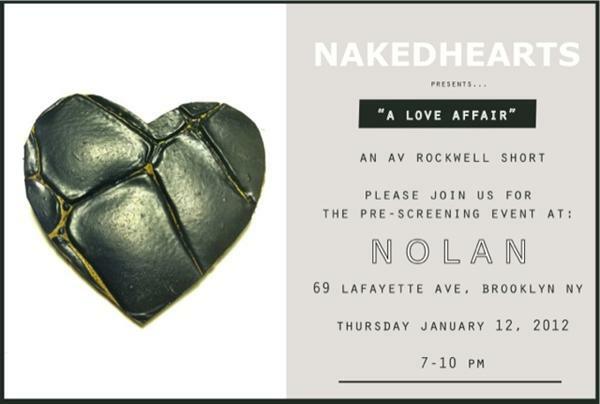 This Thursday, “A Love Affair,” the short film produced by young director AV Rockwell will premier at Nolan. The short features Naked Hearts. I’ll be there this Thursday and I hope to see some AssataSAYS.com readers there as well! This entry was posted on Tuesday, January 10th, 2012 at 8:46 am	and is filed under EVENTS, FASHION. You can follow any responses to this entry through the RSS 2.0 feed. Both comments and pings are currently closed.